From humble beginnings, The Old Byre has grown into a fabulous destination for a family day out. Byre is actually a Scottish word for a cowshed, this is where the original shop began, but these days our visitors can expect to see a little more than that! Situated in a stunning location on the Isle of Arran, our Visitor Centre now offers something for everyone. 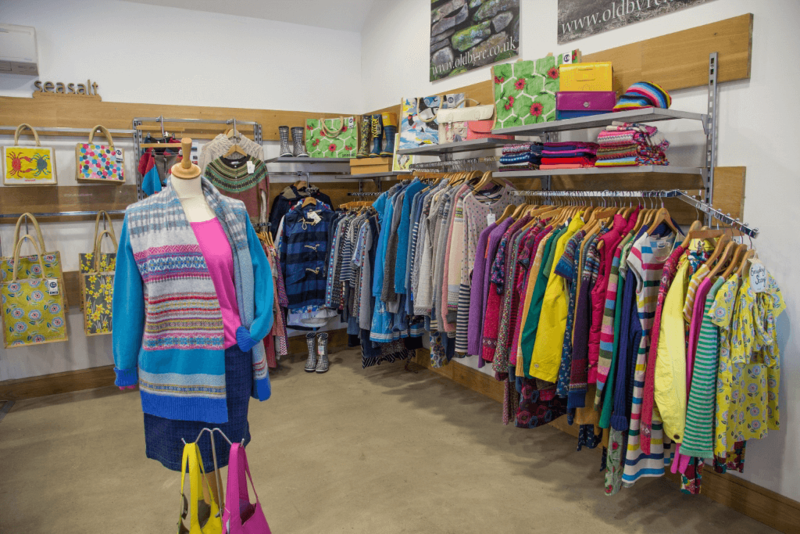 The bright, modern and characterful Old Byre Showroom shop is simply packed with amazing things to discover including exceptional knitwear and gorgeous home accessories. You will also love Café Thyme where you can feast on delicious homemade delights and the kids can let off steam in the adjacent playpark. As if that wasn't enough, there is a historic Druid standing stone in the adjacent field and sweeping views over the Mull of Kintyre to savour. Established in 1967, The Old Byre shop initially sold only sheepskins but over the years the range has been considerably expanded. You will now find an exciting and diverse collection of knitwear, clothing, homeware, bags and accessories to choose from. We endeavour to complement the stunning nature of our surroundings by offering a variety of products which are produced from natural materials. Our knitwear is made from fine wool, cashmere, cotton, silk, alpaca and mohair. You will also adore the beautiful sheep skin rugs in our range. These honour the heritage of The Old Byre and feature all natural colours and rare breeds. We bring you a wonderful array of quality clothing and we principally offer styles which are made in the UK and Ireland. We are pleased to celebrate ethical, sustainable and organic fashion. Drawn from the highly regarded Barbour, Seasalt, Thought (formerly Braintree), Mistral and Mudd and Water collections plus more, our slippers, gloves and clothing are sure to impress. We are also delighted to showcase many outstanding pieces from unique Scottish labels. Open 7 days a week, The Old Byre Showroom is the perfect place to browse and to discover amazing styles with which to define your look. The beautifully created pieces will steal your heart and you won't be short of incredible choices if you are searching for great gifts. Enjoy coffee, homemade cakes, a delicious lunch or glass of wine while you take in the spectacular views. Chef Hamza has created a fantastic menu of unique and tempting treats for you. We serve freshly prepared food and dishes that you won't find anywhere else and our Turkish style wood burning oven delivers a feast for your senses including home baked breads and pides (think Turkish calzone pizzas). Our toppings are unique to us and cover all tastes from meat lovers to vegans. You won't believe our fresh haddock with hand cut chips whilst our lamb kofte kebab wrapped in homemade flatbread with yoghurt and bean salad is quickly becoming a local legend. We cook with locally sourced produce where possible and our salad leaves and herbs are grown right here on site. Scottish cheese, eggs, milk, butter and fish are all on the menu together with seasonal vegetables and local meats. We are licensed should you wish to imbibe in a tipple as you admire the Druid standing stone and the views over open fields to the sublime Mull of Kintyre. There's outdoor seating and we are sure that you will adore the whole atmosphere. 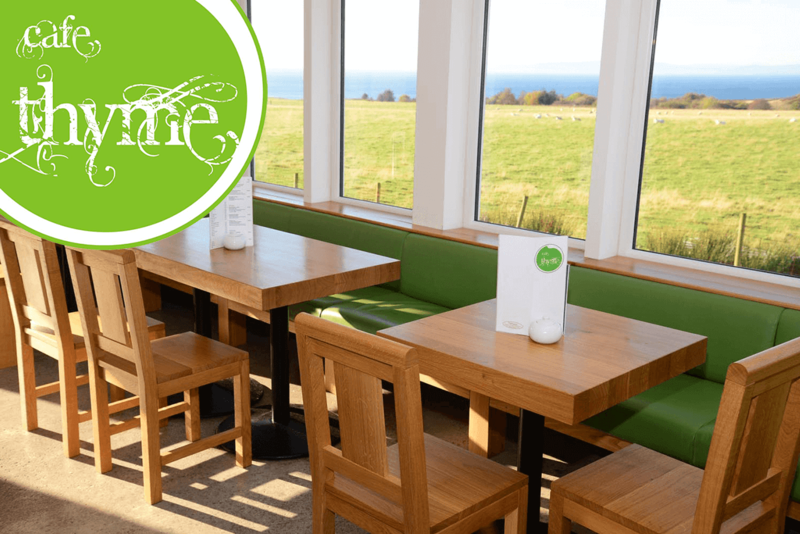 Café Thyme has received rave reviews on TripAdvisor and is open every day from 10am to 5pm, lunch is served 12pm – 3pm and we serve dinner during the high season via bookings on 01770 840608. We can also do take away for freshly breaded haddock and hand cut chips, or wild boar and apple burger, just give us a call in advance and we'll have it ready for you. You can revel in retail therapy and treat yourself to a feast at The Old Byre Visitor Centre, but we haven't forgotten the kids! Whilst you shop 'til you drop or eat to your contentment, the little ones can have a riot of fun in our outstanding playpark. 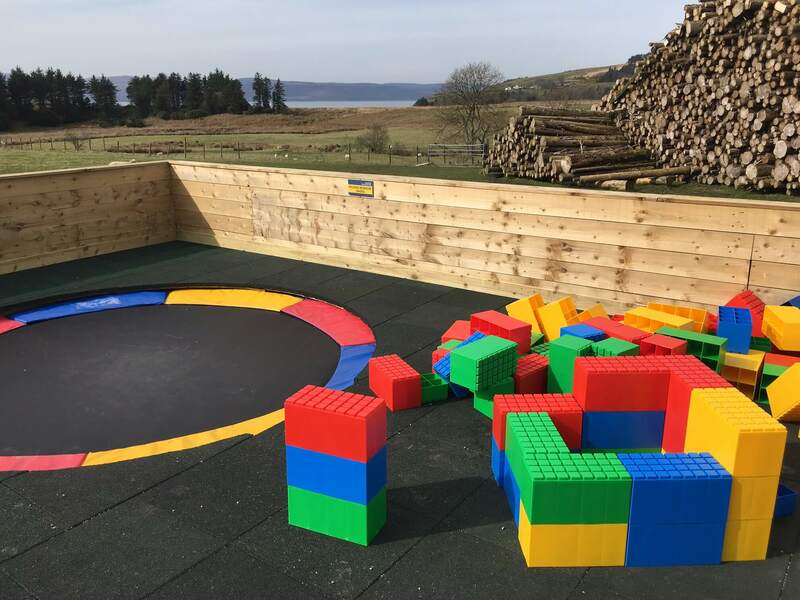 With swings, slide, trampoline, a fort with giant Lego-like bricks and a climbing wall, not to mention a digger den, a giant sand pit, a ball games area and loads of toys, there's certainly plenty to do! The play area actually belongs to our own children, Archie and Gregor, but any cool kids who visit are welcome to join in the fun! We only ask that you make a small donation of £1.50 per child to cover maintenance and that you treat the toys with respect. The Old Byre is situated on the stunning Isle of Arran. There is much to explore on this beautiful island, which can be reached by ferry from the mainland in just 55 minutes. You won't want to miss a thing and that certainly includes our Visitor Centre which features ample parking. 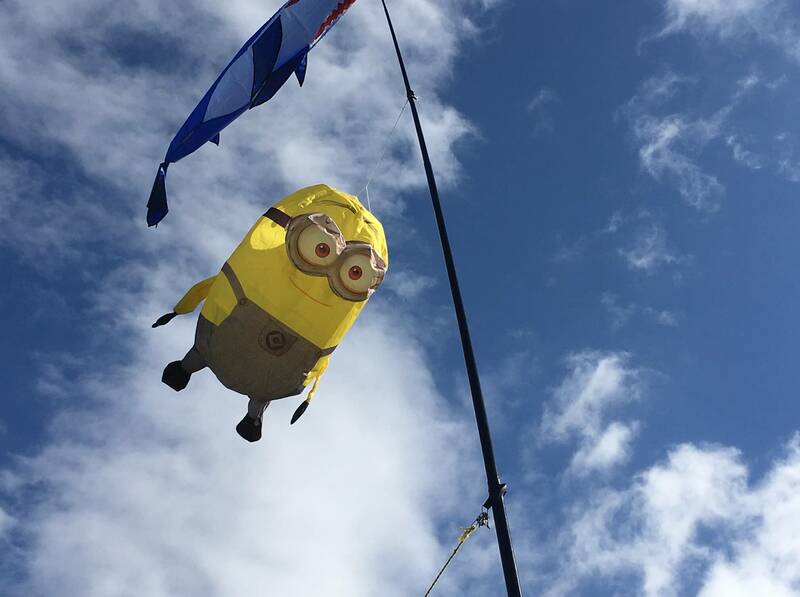 It's a wonderful place for the whole family to spend an unforgettable day! Find out more about Arran at www.visitarran.com.